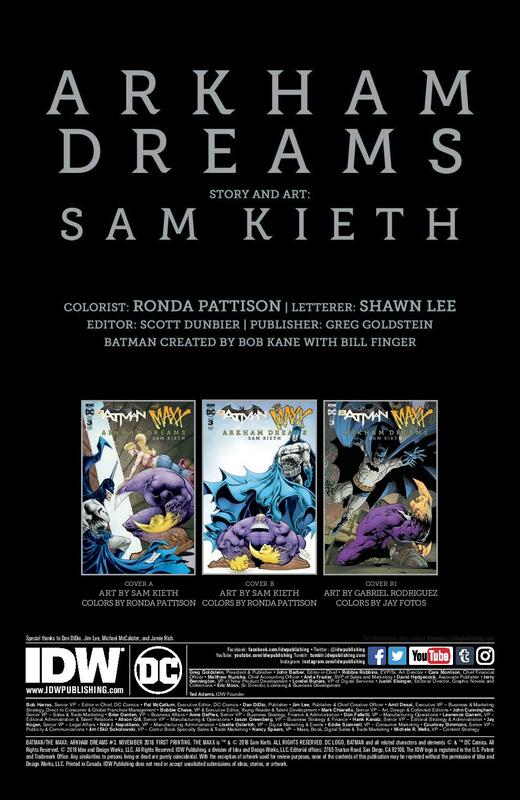 The latest issue of IDW’s Batman/The Maxx: Arkham Dreams really ups the ante in terms of insanity to the point where I’m actually struggling to write a coherent review describing just what’s actually happening. 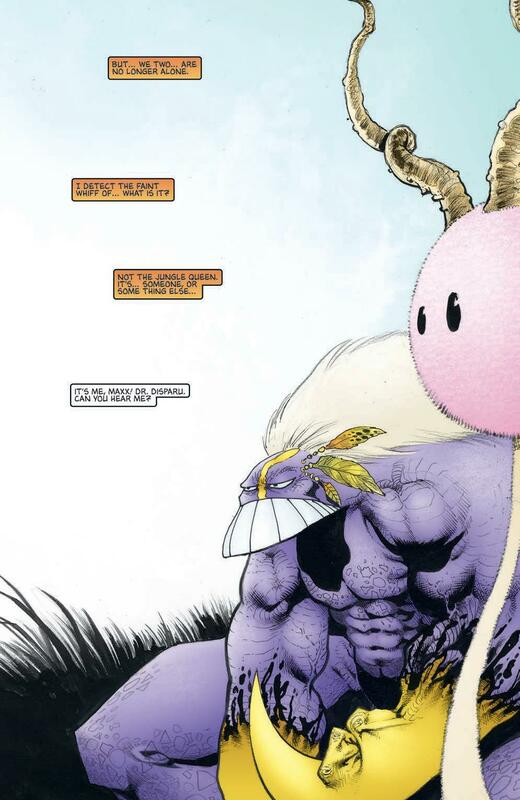 The Maxx has found his queen. Or has he? What first seems like him being stuck in The Outback with some ferocious beast staring him down quickly jumps to the real world where he’s chatting to his girlfriend about her babysitting their neighbour’s dog. Then, just as quickly, we’re back once again in The Outback with Batman (who is feeling just as lost as we are) asking Maxx about how to get back to Arkham and stop the rest of the inmates from taking The Outback themselves. But are we really? 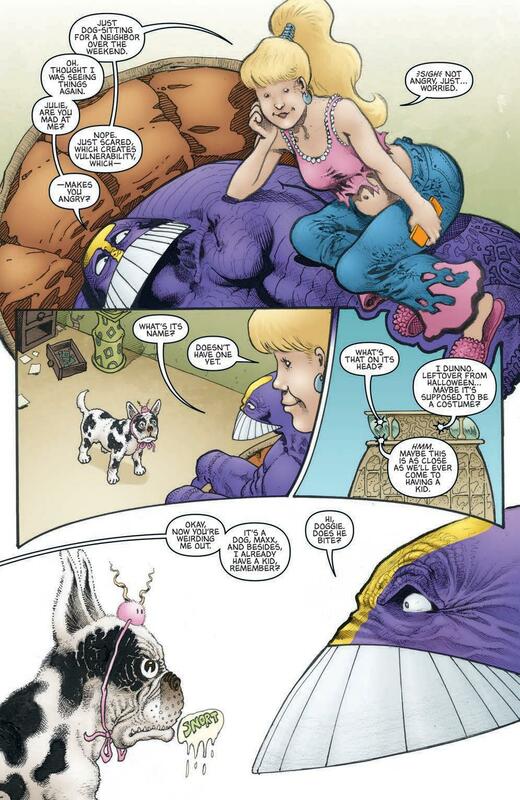 Or is it all an illusion brought about by Maxx finally going completely and utterly off the deep end? 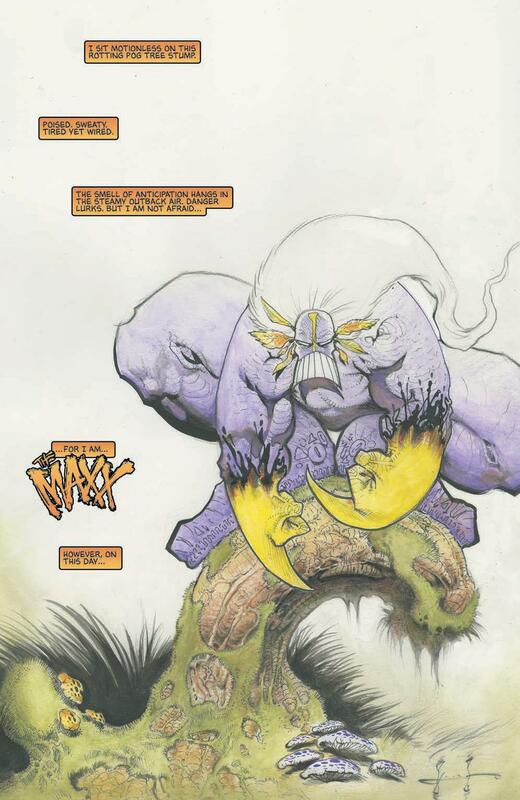 This issue reveals the level of influence the Maxx has on this strange dreamscape – even if he himself doesn’t realise it. Elsewhere, Batman is stuck trying to figure out his own way home, and that journey is going to reveal more about his own self than he has ever wanted to see. Once again this series continues to present the reader with a tasty little slice of insanity. 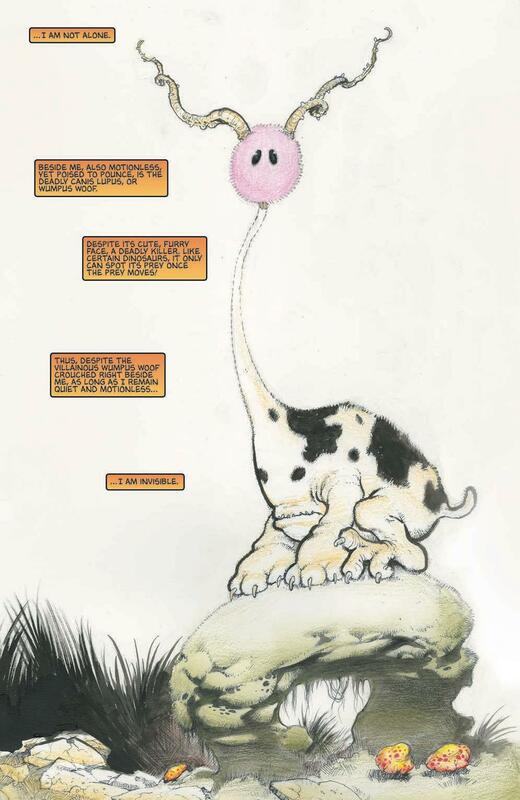 It almost makes your head spin trying to keep track of what’s happening, aided in no small part by the Kieth’s almost child-like drawings with a violent sharp and gothic edge to them. The beauty of a story like this is that the parameters of a world like The Outback are basically non-existent. Any scene that takes place in that world purposely screws with your head by distorting anything you feel you might recognise, leaving you looking over and over again to try and discover the real meaning behind it all. It’s definitely not going to appeal to everyone. The average comic reader who likes a straightforward “good versus evil” story, or even a classic Batman mystery, will be put off by just how ‘out there’ both the story and the art are. But for me, the reason I’m enjoying this series is that reading it is an experience I can honestly say I’ve never really had reading a comic before. I’ve found myself becoming actively involved in the story trying to apply some sense of logic to it, or trying to grasp at any semblance of coherency (which may or may not even exist), much like Batman himself. It’s because of this that Batman is such a great choice for a crossover like this. 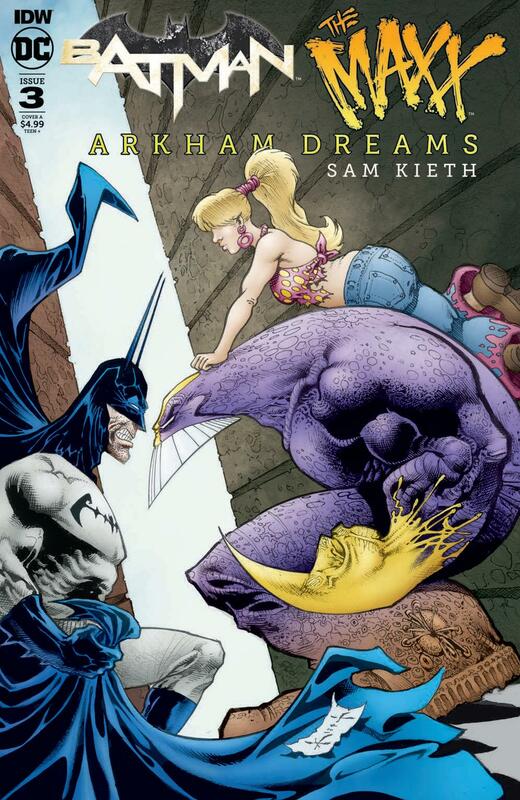 Much like his appearance in the recent Justice League Dark animated movie, Batman plays the straight man in a unexplained new world, introducing new readers to the Maxx and providing a fresh pair of eyes for longtime fans to see this world through. Confusion aside, I’m definitely going to be back for more next month. At least until I go off the deep end myself trying to figure out exactly what the hell is going on.